It has long been said that Visio’s ShapeSheet was modelled on Excel’s WorkSheet with it’s ability to enter formulae from a set list of functions. Indeed, there is a lot of similarity between some of Visio’s ShapeSheet functions and similar ones found in Excel, however one should exercise some caution and check that the behaviour is as expected. I recently forgot to do this with the NOW() function, and it caused me some grief for a while. I had constructed a Today shape in Visio, and used the NOW() function to position the shape in the horizontal, and to display the date value in a Shape Data row and in the ScreenTip. 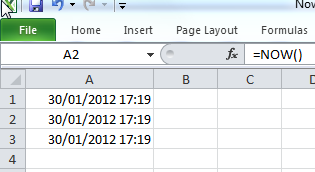 In Excel, if you enter the NOW() function into a cell, it immediately evaluates when the formula is entered. 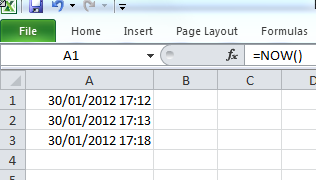 So, if you enter the same formula in multiple cells (by typing … not copying), it will evaluate at the time that you enter it. Thus you can apparently have different times displayed. So, be careful how you use the NOW() function in Visio because overuse will slow down your diagram. Set animation to 1000, for example, and your NOW will update every second. If you have a lot of these on the page, your drawing will flicker like nuts. But you can get things to move around on the page too, which can be neat and useful. Hence the setting is called “animation”. I have a shape on my test page with NOW() displayed as insert-field text. It is updating live, like a real digital clock. I’ll have to remember to reset animation to 60000. The second SETF in this expression overwrites the EventDrop formula, effectively erasing it. Note that it uses quotes around the cell name and doesn’t make use of GetRef. This is an older syntax, which has the advantage of shielding the formula from being fully evaluated on entry. Visio won’t let us enter …+ SETF(GetRef(EventDrop),0) because that is a circular reference. 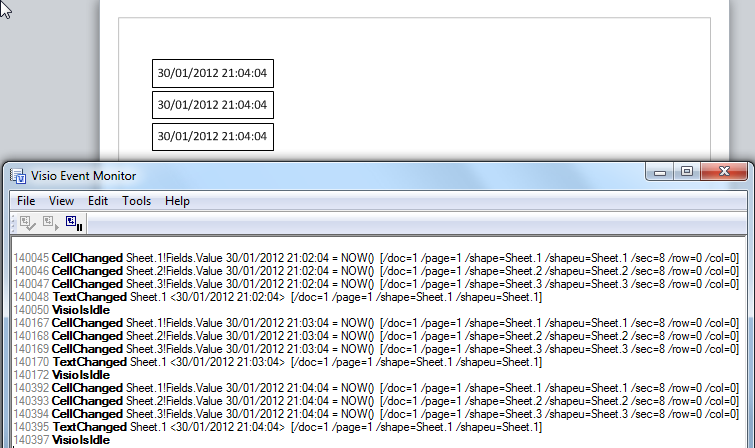 With quotes, Visio waits until the EventDrop actually happens, THEN tries to make sense of the formula. This quoted-cellname syntax is a bit un-kosher, and I wouldn’t recommend using it all over the place, especially for custom-named user- and shape data cells that may or may not exist. But every Visio shape has the EventDrop cell, so it is safe in this example, and is a good way to write one-time, on-drop formulas.